Win a $50.00 Shopping Spree! The very generous Kimberly at the Fat Quarter Shop sent me a $50.00 gift certificate which I would like to share with you. Best of all, there are no flaming hoops to jump through! All you have to do is leave ONE comment on this post for a chance to win. I’ll be using random.org to pick a winner next Saturday, March 3rd. Just imagine all the fabulous fabrics you could get with $50.00! This entry was posted in Fabric, Giveaway and tagged Fat Quarter Shop by Tabatha. Bookmark the permalink. Wow! How nice of them. They are such a great company. I can’t imagine ordering from anyone else. Tabatha, I’m so glad we don’t have to jump through flaming hoops. With my luck I would probably get stuck. Thanks! Thank you! It would be wonderful to win it. Please enter me in the drawing. Thank you!! I would love to have the opportunity to win the certificate as I’m dying to order some of parson grey fabric line! Shopping sprees are always nice! Thanks Tabatha and thanks to Kimberly too! Thank you for the opportunity Tabatha and Kimberly! How nice! Thanks for the chance at the giveaway! I could really use some new fabric & thank you for hosting! So fun! Thanks for the giveaway, Tabatha and Kim! Wowee I spend hours at FQ shop dreaming about what I could buy! Thanks so much for the chance to win. WOW ! how generous of you ! I saw your link @ sewhappygeek.com.uk . Thanks so much for the chance to win the gift certificate . What a lovely giveaway, they have so many wonderful fabrics! I am from Mississauga, Ontario so not too far from you! I ha ve quilted for just over a year but have dabbled in almost every other craft for years! Not enough hours in the day to do what I want though! Just discovered your blog and it looks great! What a fun prize! Thanks for such a great giveaway! Oh, this would do my fabric addiction a good feed. Thanks for the giveaway! Crossing fingers NOW! Thanks for the chance to enter. Thanks for the chance to win. Who doesn’t like free fabric ? Wow, Tabitha. Thank you for the chance to win. I’m here from One Stop Giveaway Shop. I am also hosting a giveaway this week. I’d love it if you stopped by. Wow! Thanks so much Fat quarter shop!! Flaming hoops are never fun!! Thanks for the chance to win! Darn! I’ve been practicing my flaming hoop maneuvers. I would have no trouble spending that $50. I am coveting Lizzy House’s new fabric and those Pezzy Prints. I love FQS. Thanks for a chance to win a shopping spree! Thanks for chance to win; love the FQS! Oo how generous! I love her mystery fabric boxes 🙂 Thanks for the chance to win. Oooooh! What a lovely idea 🙂 Thanks for hosting the giveaway. Oo- please sign me up! Just found your blog….am a new follower. Such a nice giveaway!! Thanks for the chance to win!!! Flaming hoops LOL! Thanks for the giveaway AND dashing the hoops! I love the fqs. Thanks for the giveaway and love your blog – keep up the great work! 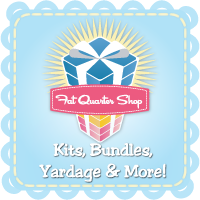 OOhh, so many things that could be done with $50 of fat quarters – my mind is tingling! How generous. Thank you for the chance..
One can never have enough fabric…. 🙂 Thanks tholtz! Fabulous! Please put my name in the hat (my fingers are crossed that I’m picked)! I just received my latest order from FQS and already regretting not ordering more fabric, $50 would do it! That would be great, Im so broke and there is so much wonderful new fabrics out now! Thanks for the chance. wow, i’d love to have $50 to spend at FQS!!! Awesome giveaway! THIS GIVEAWAY IS NOW CLOSED, THANK YOU. Great giveaway! So many possibilities with the gift certificate. I love Fat Quarter Shop. Sorry, this giveaway closed March 3rd but thank you for leaving a comment.